All four divisions and the league's main cup competition are without backing ahead of the 2013/14 season. 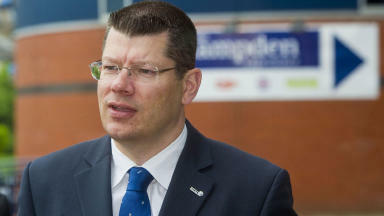 Neil Doncaster believes there are companies willing to invest money in Scottish football's top competitions. All four divisions of the new Scottish Professional Football League and the Scottish League Cup are without a sponsor going into the 2013/14 season, following the withdrawals of Clydesdale Bank, IRN-BRU and the Scottish government. Chief executive Doncaster is facing a race against time to secure backing ahead of the start of both competitions on August 3 but insists there have been positive noises from potential sponsors. "The League Cup was sponsored by the Scottish government last season," he said. They made it clear fairly early on last season that would be their final season doing it. "We've now inherited the League Cup within the SPFL. We'll obviously talk to people who are interested in partnering with us. "We've had a number of good sponsors over the years, including Coca-Cola and the Scottish Government last season. 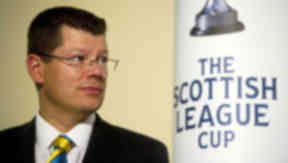 W"e're confident with the excitement that's generated through the Scottish League Cup that it will be appealing. Especially given the unpredictability of the competition with St Mirren and Kilmarnock winning it in recent years. 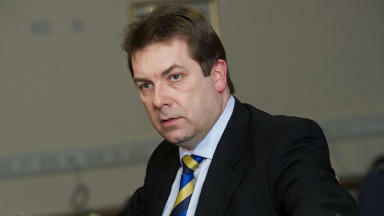 "We certainly hope we will be engaging with companies that want to be part of the excitement of the Scottish League Cup. "We're talking a lot of different companies who are interested in being part of Scottish football, whether that means title sponorship, the League Cup or whether it means some other form of partnership with the organisation. "We are interested in talking to as many people as possible who want to be part of the great story that is Scottish football."